Under the Artistic Direction of Emmy Award Winner, TRAVIS WALL, and co-created with NICK LAZZARINI, TEDDY FORANCE and KYLE ROBINSON, SHAPING SOUND is an electrifying mash-up of dance styles and musical genres brought fully to life on stage by a dynamic company of contemporary dancers. After rising to fame on “So You Think You Can Dance” and “Dancing With The Stars”, these dancers – some of the best talent on stage right now -- starred in their own reality TV show, Oxygen Network’s "All the Right Moves." Audiences of all ages will experience the exhilarating collaboration of these visual musicians whose explosive choreography, dynamic rhythm, speed and physical strength give shape and form to sound. SHAPING SOUND -- dance reimagined. 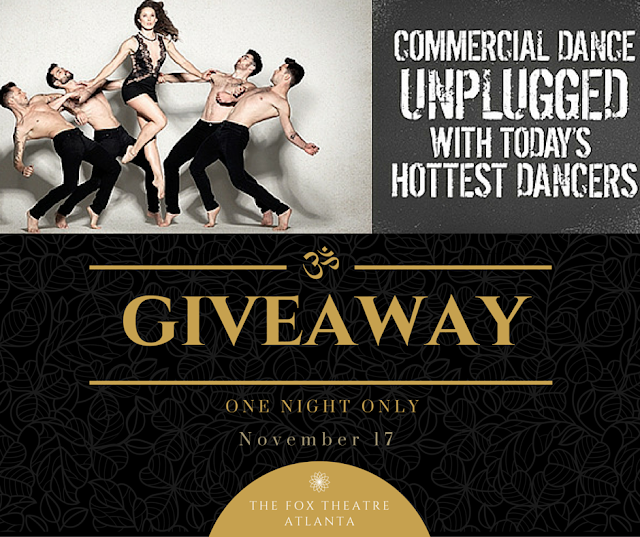 Win a family-four pack to watch Shaping Sound at The Fox Theatre. Leave a comment below and use our giveaway widget to register your entry. Winner will be announce on September 12 and must pick up tickets at will call the day of the event.